We know already from Meghan's style that she's a fan of smart pieces like this. As proven by her engagement photos, Meghan loves a bit of sheer. 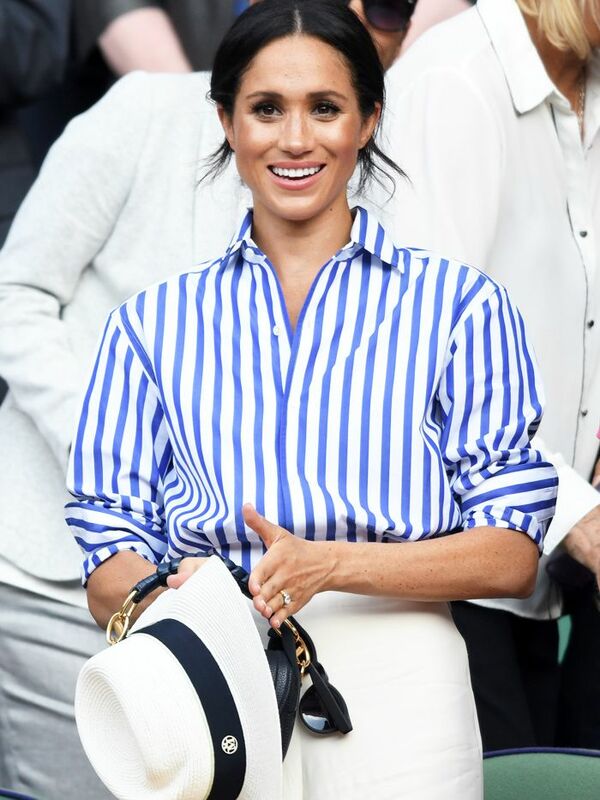 Classic pieces with a twist are really what define Meghan's style. Let's hope she opts for something more interesting than slim black trousers and goes for black culottes instead. A pencil skirt that's just the right length. She's not just about darker colours—Meghan's a big fan of red too. Similar to the look she wore out in Nottingham, this dress gives the impression that there's another layer peeking out underneath without being risqué. Another skirt to add to the collection (can you sense a theme?). Finally, every royal knows that no outfit is complete without a chic coat. This is one we've had our eye on for some time.